It seems that many individuals think there is an important distinction, legally speaking for U.S. federal tax purposes. In sum, I am of the view that both terms are in effect interchangeable for federal tax purposes. The important time reference under the law of IRC Sections 877 and 877A is the “expatriation date” as defined in Section 877A(g)(3) – which focuses on specific dates tied to meetings or events with the U.S. Department of State. Indeed the tax statute uses the terms “renounce” and “relinquish” in the same breath. (B) in the case of a long-term resident of the United States, the date on which the individual ceases to be a lawful permanent resident of the United States (within the meaning of section 7701 (b)(6)). (B) the date the individual furnishes to the United States Department of State a signed statement of voluntary relinquishment of United States nationality confirming the performance of an act of expatriation specified in paragraph (1), (2), (3), or (4) of section 349(a) of the Immigration and Nationality Act (8 U.S.C. 1481 (a)(1)–(4)) . . .
As Mr. Jan Bejar said in his guest blog, renouncing citizenship is a way to relinquish it, so when discussing this form of relinquishment, the two words can be used interchangeably. For travel between Canada and the U.S., DHS and the Canada Border Services Agency (CBSA) have partnered in the “Beyond the Border” initiative to jointly track entries and exits. The idea of the program is that an entry into one country serves as a record of exit from the other. The initiative was planned to roll-out in four phases. During Phase I, which began September 30, 2012, and lasted through January 15, 2013, DHS and CBSA exchanged biographic data regarding third country nationals, permanent residents of Canada who are not U.S. citizens, and permanent residents of the U.S. who are not citizens of Canada, at four land ports of entry. During Phase II, which began on June 30, 2013, the biographic data about the same population was exchanged for crossings at all automated land ports of entry. Phases III and IV were supposed to begin June 30, 2014, and would have expanded the initiative to virtually all travelers, including U.S. and Canadian citizens, and to air travel, but apparently these phases have been delayed. Finally, for nonimmigrants issued paper I-94 and I-94W records (either in the past or presently at land ports of entry), submission of those records at a port of entry or to the airlines upon departure ideally should create, or should have created, an exit record. Presently, for nonimmigrants who arrive by air or sea and do not have a paper I-94, but who then depart by land, such that APIS does not record the departure, CBP instructs travelers to keep proof of the departure. Nonimmigrants issued a paper I-94, either in the past at any port of entry or currently at a land port of entry, who did not submit them upon departure, can mail them to a designated address with proof of the departure to create a departure record in the NIIS. In sum, regardless of your immigration status, the U.S. government likely knows when you arrive but may not know when you leave, particularly if you depart along a land port of entry on the southern border. For certain classes of nonimmigrants at air and sea ports of entry, electronic I-94 and I-94W records are generated using APIS data and stored in the NIIS. As of April 30, 2013, CBP stopped issuing paper I-94 records at air and sea ports of entry. Currently, CBP still issues paper I-94 records at land ports of entry, which are then entered into the NIIS. Trusted traveler programs are another method of tracking and recording entries into the U.S. Trusted traveler programs include Global Entry, NEXUS on the northern border, and SENTRI on the southern border, among others. Travelers voluntarily provide detailed biometric and biographic data to CBP in exchange for expedited admission at ports of entry. Members use their machine-readable identification documents and/or RFID cards when entering the U.S., and their entries are accordingly recorded and stored. Even today, despite the high inspection rates and various technologies, it is occasionally possible that an entry into the U.S. at a land port of entry would not be recorded. For example, if an inspector at a land port of entry simply looks at a U.S. passport or other travel document that is not RFID-enabled and does not “swipe” it to use its machine-readable capabilities, then the traveler’s entry may not be recorded. Along the same lines, a minor under 16 years old entering the U.S. at a land port of entry with a birth certificate may not have the entry recorded. The U.S does not have a history of tracking departing travelers, and therefore comprehensively tracking exits has proved more elusive, particularly for land departures. Various pilot programs have been tested and later discontinued. Presently, at certain land ports of entry on the southern border, travelers may be subjected to screening and inspection upon departure. CBP’s mandate in conducting these inspections is to address violence in Mexico and to interrupt transnational criminal organizations’ activities. Outbound screening tends to happen in short-term surges, followed by periods of reduced inspection. Simply passing through the screening, however, does not create a record of the departure. For travelers departing the U.S. by air and sea, as mentioned above, CBP uses APIS to collect commercial passenger and crew manifests for all outbound international departures. Compliance by carriers is near 100%. CBP then transfers this data for non-U.S. citizens to ADIS, which matches arrivals to and departures from the U.S. Anecdotally, this system for tracking exits from the U.S. is not foolproof. For example, just a few months ago, a lawful permanent resident client who had applied for naturalization purchased a ticket to depart the U.S. while her naturalization application was pending (which is entirely permissible). Ultimately, however, she opted not to travel abroad and postponed her flight. At her recent naturalization interview, when the USCIS officer asked about her trips outside the U.S. during the past five years, he asked about her departure on the date of the canceled flight. He had presumably accessed APIS and/or ADIS, and presumably the airline carrier had shared her name as a passenger with CBP, even though she had not boarded the plane. She honestly denied departing the U.S. that day. Fortunately, the officer believed her and moved on, but the error could have been difficult and time-consuming to correct had it been necessary to do so. Further, if she had been a nonimmigrant with authorization only to remain in the U.S. until the day of her scheduled flight, the system may not have detected her overstay. As another example along the same lines, the American Immigration Lawyers Association (AILA) just reported that USCIS has recently denied in error multiple applications for changes of status (to a different nonimmigrant status) and for adjustment of status (to permanent resident status) where the applicants had purchased, but not used, airline tickets to depart the U.S. These applications, in contrast to a naturalization application, typically require that the applicant remain in the U.S. until receiving a decision. The sole reason that USCIS cited in these denials was the applicants’ alleged departures from the U.S. and constructive abandonment of the applications. Presumably these officers accessed APIS, the NIIS, and/or ADIS but did not click through the electronic records deep enough to see that the applicants had not actually used the international plane tickets. USCIS is supposedly aware of this training issue, but these denials underscore the difficulty in tracking exits from the U.S.
 See, supra, at fn. 3. See “CBP Practice Alert: ‘Implied Departure’ and Denial of USCIS Benefits, AILA InfoNet Doc. No. 14090243 (posted Sep. 2, 2014); see also “Minutes from AILA CBP Liaison Committee Teleconference with Suzanne Shepherd, ESTA Director regarding I-94 web portal and travel history information,” August 6, 2014, AILA InfoNet Doc. No. 14082042 (posted August 20, 2014). Two famous tax professors coined a wonderful analogy that can largely be applicable to any non-U.S. citizen who is considering either becoming a (1) lawful permanent resident (LPR), or (2) a naturalized citizen. I think the same analogy is very much appropriate to a non-U.S. citizen who becomes a LPR or a naturalized citizen, without fully understanding the U.S. federal tax consequences of such a decision. The word “corporation” merely should be changed with “lawful permanent resident” or “naturalized citizen” in the quote from Bittker and Eustice when considering the potential long-term application of the “expatriation tax” rules. The analogy is particularly applicable for two reasons. First, individuals are usually less sophisticated and, often times, simply unaware of complex tax laws. Corporate taxpayers often can have a better understanding of complex U.S. tax laws – i.e., the “lobster trap” via sophisticated tax advisers. 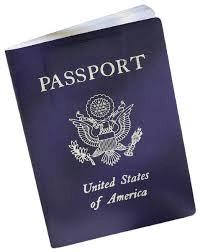 Non-U.S. citizens who are not certain they will spend the rest of their lives in the U.S., should carefully consider if they indeed wish to obtain LPR or become a naturalized citizen. This is because of the long-term tax consequences of Sections 877, 877A, 2801, etc. for those who later abandon their LPR status or renounce their U.S. citizenship. Many more may wish to simply shy far away from the lobster trap to begin with. A previous post explained why lawful permanent residents (LPRs) can never satisfy this exception in the law to avoid “covered expatriate status.” See, Why a “long-term” LPR can NEVER avoid “Covered Expatriate” status under IRC Section 877A(g)(1)(B) if Asset or Tax Liability Test is Satisfied! (II) has been a resident of the United States (as defined in section 7701 (b)(1)(A)(ii)) for not more than 10 taxable years during the 15-taxable year period ending with the taxable year during which the expatriation date occurs, . . . This entry was posted in Certification Requirement of Section 877(a)(2)(C), Immigration Law Considerations, Tax Compliance.